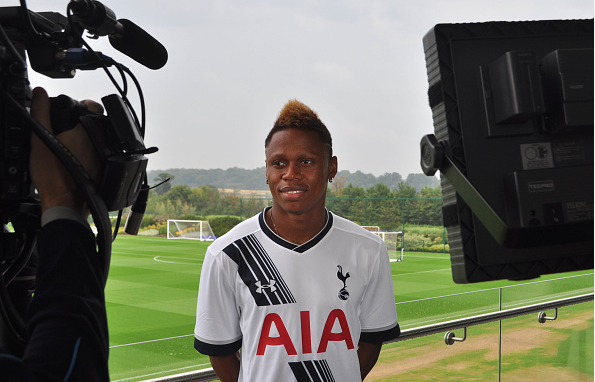 Tottenham have signed Cameroon international Clinton Njie from Lyon. The 22-year-old cost Spurs €14million plus another €3million in bonuses. As Spurs fans rush to find out who Njie is (he scored seven goals in 30 appearances for Lyon last season), someone leaks a story that he’s so good that Arsenal tried to scupper his move to White Hart Lane. The Metro says “Arsenal made attempt to hijack Tottenham’s Clinton Njie transfer”. The paper’s scoop is rooted in a single report in L’Equipe, which says Arsenal asked about Njie. they amde no offer. They did not meet his representatives. As highjacks go, it was like trying to seize control of the plane by browing in the Duty Free shop.